SIT likely to approach HC against ‘lenient sentencing’; court requests state not to remit sentence after 14 years. Calling Gulberg massacre the ‘darkest day’ in the history of civil society, a Special Investigation Team court on Friday awarded life term to 11 convicts for burning alive 69 people, including former Congress member of Parliament Eshan Jafri, in one of the worst riots post-Godhra violence in 2002. 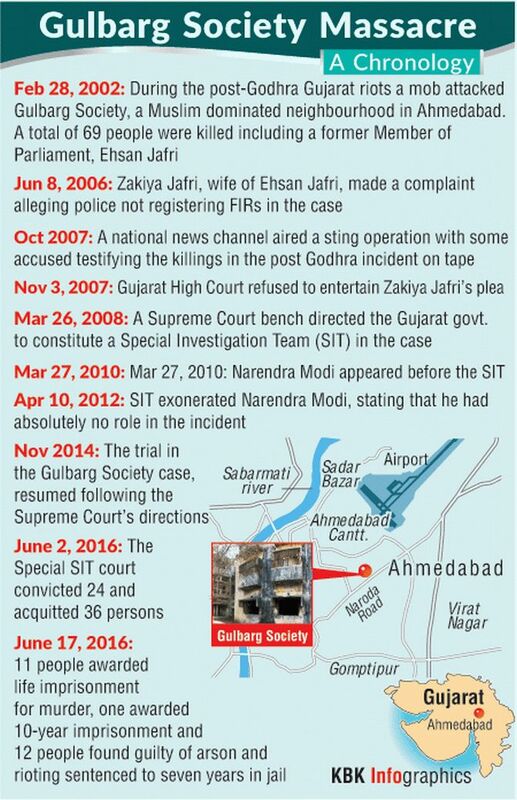 However, the judgement left the prosecution, Jafri’s wife Zakia and civil rights activists disappointed saying it was lenient on the perpetrators of the worst type of violence in a residential colony in Gujarat’s capital. Rejecting the demand for death sentence for all the convicts, the court said life imprisonment for the 11 will be till death if the state does not exercise power to remit the sentence, which Special court Judge P B Desai said was not necessary. It awarded ten-year jail term to one of the 13 convicted for lesser offences while the other 12 have been given a seven-year sentence each. The prosecution had argued that all the 24 convicts should be given death penalty. Post the incident, 90 per cent of the accused were released on bail. Yet, no complaints against them have been given even by the victims, and there is no record to show that they committed any offence during the time of bail, the judge further said, while giving reasons why he thought that this was not a fit case to give capital punishment to the convicts. 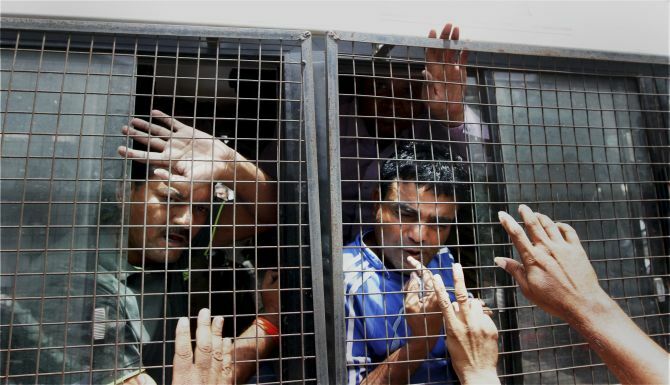 The court said it has decided to award imprisonment for life without any time frame to the 11, who have been convicted for murder, while requesting the state not to use its power to remit the sentence after 14 years of imprisonment. “ (The) CrPC (Code of Criminal Procedure) provisions give power to the state to remit sentence after 14 years jail, section 433-A imposes some restriction on that power. In case the state does not exercise power to remit the sentence, life imprisonment will mean that it is till death,” the court said. “I cannot add beyond what has been prescribed under Section 302. It is not necessary for a state to exercise power to remit sentence. The state may not exercise power of remittance,” the judge said, adding the court’s direction cannot be binding as he cannot take away the executive powers of the state. Reacting to the judgement, SIT’s special prosecutor R C Kodekar expressed dissatisfaction and said they would appeal in the high court as he felt the sentence was too ‘lenient’. Kodekar was upset especially after the court’s refusal to add ‘till death’ clause in the life sentence awarded to 11 convicts in the case. “Today’s verdict is not that satisfactory. We feel the sentence is lenient and inadequate. During arguments, we had appealed to the court that life imprisonment till death should be given to all. We are not convinced with the penalty awarded,” said Kodekar. “12 convicts were given only seven years, which is very lenient too. It should be either ten years of life imprisonment,” he said. Zakia Jafri said lief sentence should have been given to all the convicts while her son Tanvir said there was definitely ‘some sense of closure’ at the convictions. Activist-lawyer Teesta Setalvad, who has been appearing in cases relating to the Gujarat riots, said ‘we are very disappointed’. “We had argued for exemplary punishment of life sentence for the convicts and there is no ground for leniency to the persons who were indulging in rioting from 9 am to 6 pm,” she said. As regards the other 13 accused convicted for lesser offences not including murder (302), the court awarded 10 years imprisonment to one Mangilal Jain, while 12 others were awarded seven-year sentence each. 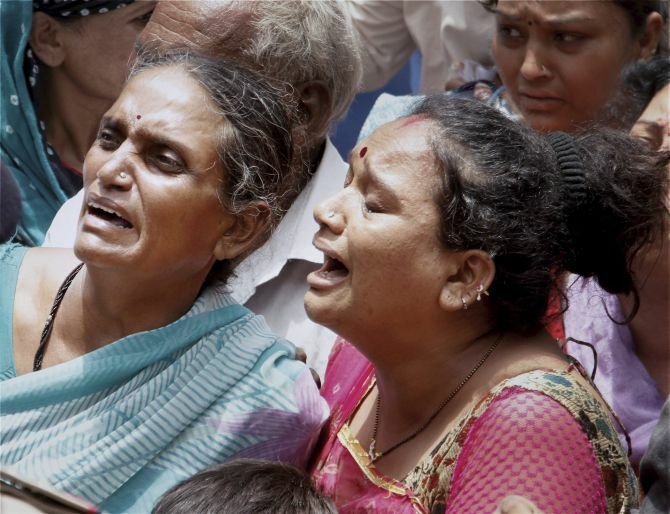 The Gulberg Society massacre, which took place in Ahmedabad on February 28, 2002 when Narendra Modi was the Gujarat chief minister, shook the nation when a mob of 400 people set about attacking the society in the heart of Ahmedabad and burnt alive its residents including Jafri. “All the sentences will run concurrently as the Supreme Court has laid it down clearly that if the crime had single purpose, sentences given for different sections of the IPC (Indian Penal Code) should run concurrently,” the court said. The prosecution and the victims had demanded that sentences awarded to all the accused should not run concurrently as all the 24 convicts will have to spend their entire life behind bars. 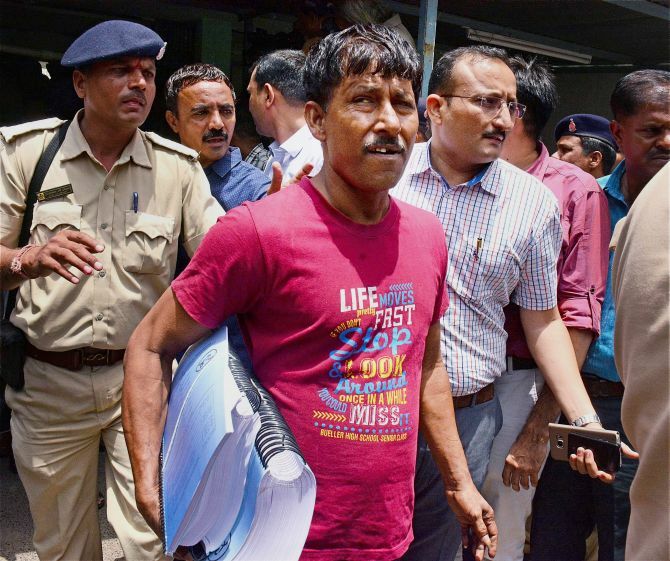 Earlier on June 2, the court had convicted 11 persons for murder and other offences, while 13 others, including Vishwa Hindu Parishad leader Atul Vaidya, were charged with lesser offences. It had acquitted 36 others in the case. Those given life sentence in the case are – Kailash Dhobi, Yogendra Shekhawat, Jayesh Jingar, Krishna Kalal, Jayesh Parmar, Raju Tiwari, Bharat Rajput, Dinesh Sharma, Narayan Tank, Lakhansinh Chudasama and Bharat Taili. One Mangilal Jain, who was convicted for lesser offence, has been sentenced to 10 years jail term. Besides, VHP leader Atul Vaid, Mukesh Jingar, Prakash Padhiyar, Surendrasinh Chauhan, Dilip Parmar, Babu Marwadi, Manish Jain, Dharmesh Shukla, Kapil Mishra, Suresh Dhobi, Ambesh Jingar and Sandeep Punjabi have been sentenced to seven years imprisonment each. During the arguments on the quantum of sentence, Kodekar had asked the court for nothing less than death sentence or jail term till death for all 24 convicts. Lawyer for the victims S M Vora also sought maximum punishment for the accused and argued that sentencing for each offence should not run concurrently so that they spend their entire life in jail. However, lawyer of the accused Abhay Bhardwaj opposed the demand of capital punishment or maximum punishment in his arguments saying that the incident was spontaneous and there were enough provocations for it. The Gulberg society massacre was one of the nine cases of 2002 Gujarat riots probed by the SC-appointed SIT. The incident had taken place a day after S-6 coach of Sabarmati Express was burnt near Godhra train station in which 58 kar sevaks returning from Ayodhya were killed. During the course of trial, as many as 338 witnesses were cross-examined, with four different judges having presided over the case.